On Wednesday after work I decided to go back to the Belle Haven Marina and Dyke Marsh for a nice sunset walk. It was a very different place than it was on Saturday morning; still a nice enough place but I’ve got to admit I felt like some of the magic was lost without the heavy layer of fog. Still, it’s a very relaxing, peaceful spot and I’m looking forward to visiting this area more as the weather gets warmer. It’s kind of cool to discover a place that feels so different from what you’re used to and that feels like it should be somewhere else. It kind of made me feel like I was privy to some well-kept secret or I was cheating the system or something. Dyke Marsh at sunset without the fog. 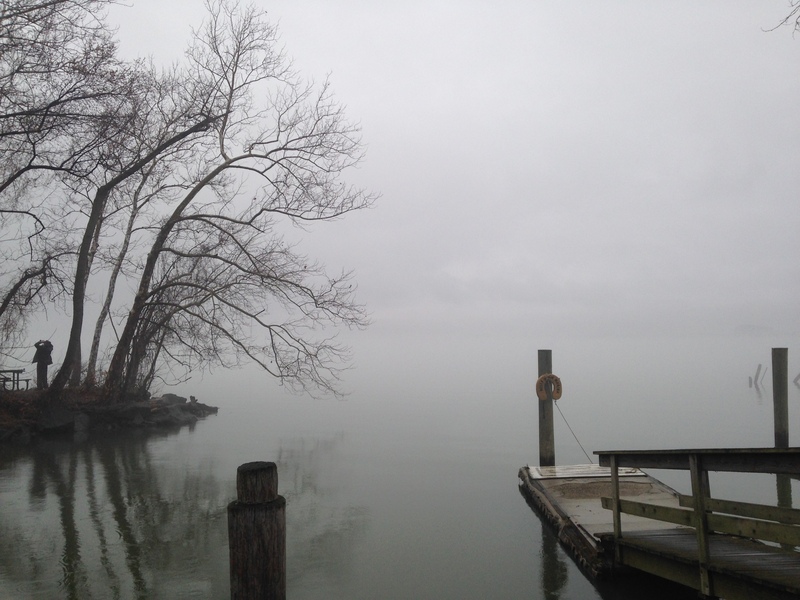 A very still place, but not nearly as spooky as it looked last Saturday. Ducks going for a swim at sunset. Dyke Marsh sounds like birds. 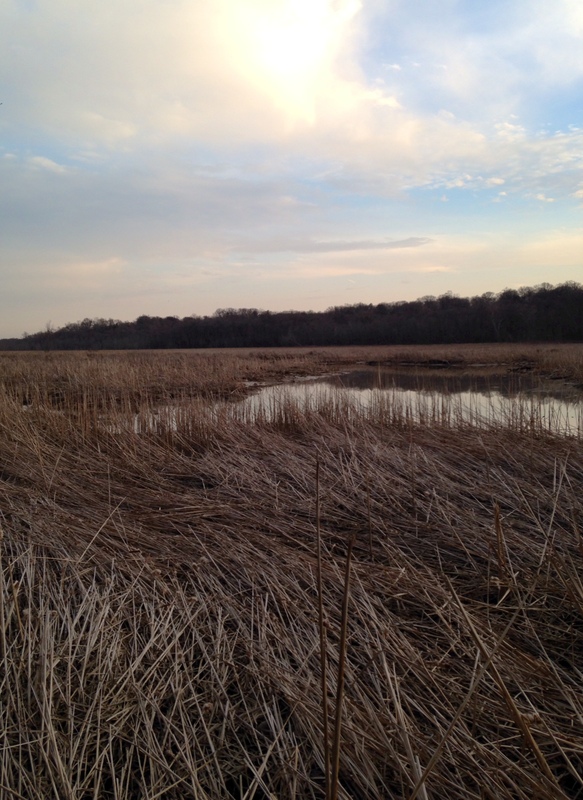 Nightfall picture of Dyke Marsh. I can’t wait until the trees have leaves! 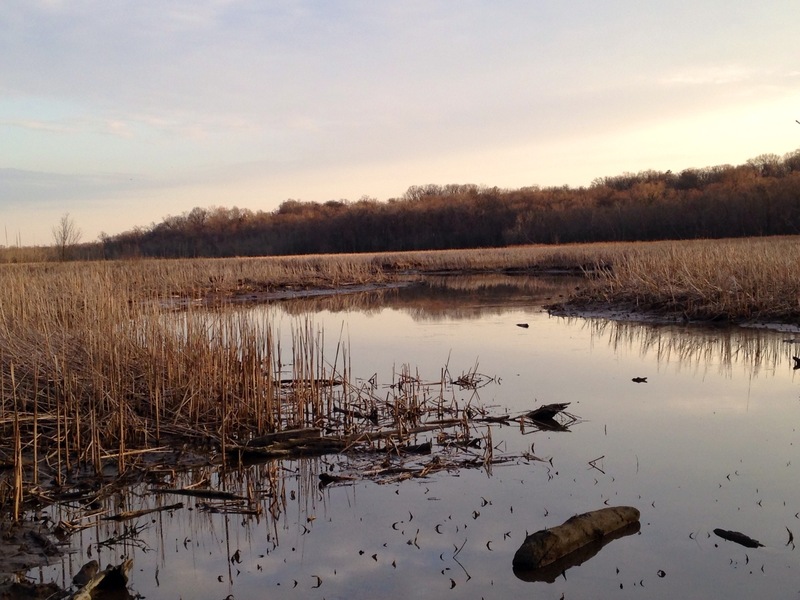 Wetlands, sunset and winter vegetation. This guy was just hanging out, listening to music on his headphones and having a nice, relaxing moment. Or so it seemed. 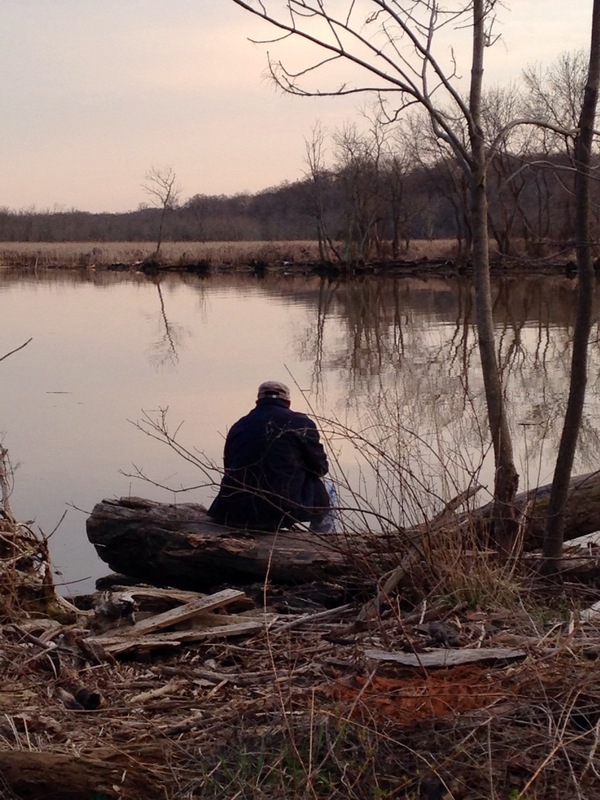 There were also some guys fishing, possibly illegally as this is a preserved area. Long-distance view of the marina. 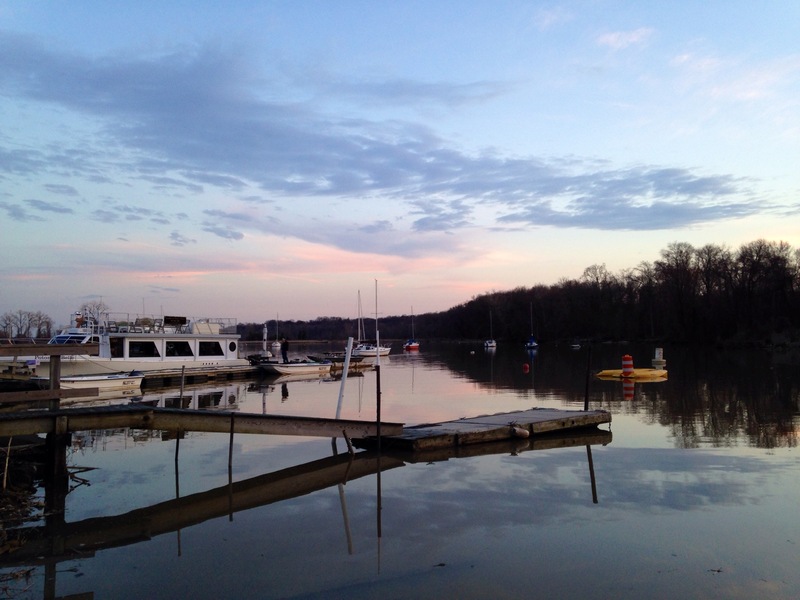 This is what the Belle Haven Marina looks like without fog. 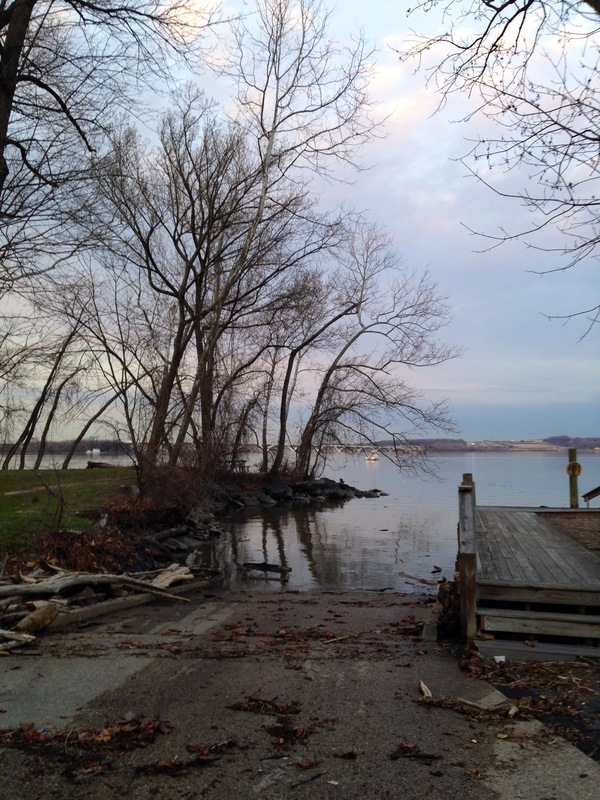 No more ghost boats or ghost trees. 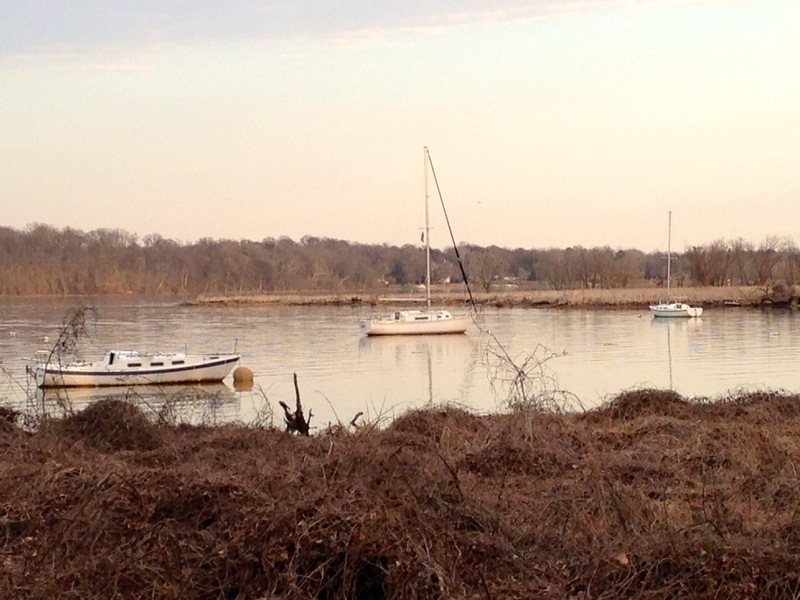 This is a view of the Marina from Dyke Marsh Preserve. I took a picture in almost this exact spot last Saturday and it’s almost unrecognizable here. 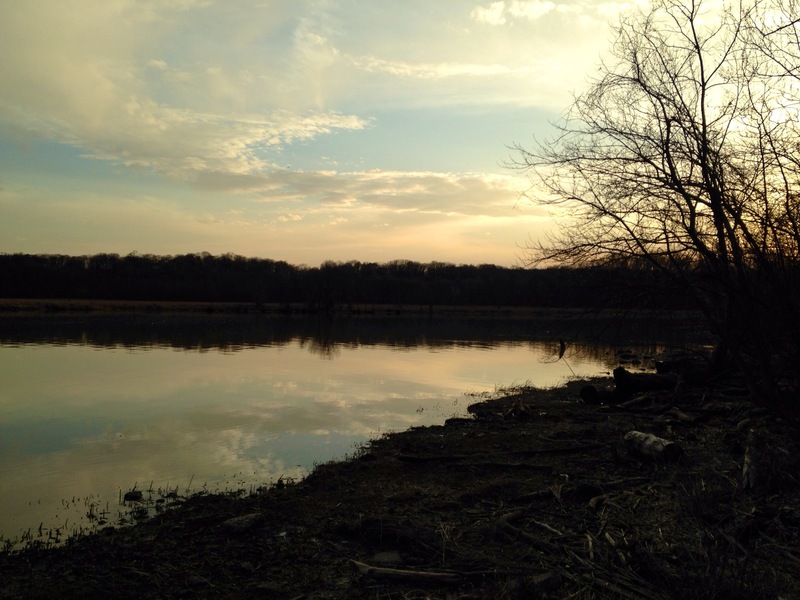 This one is vertical and the original is horizontal, but otherwise it’s pretty much the same picture. Same picture as above, very different day. I kind of like it like this better! 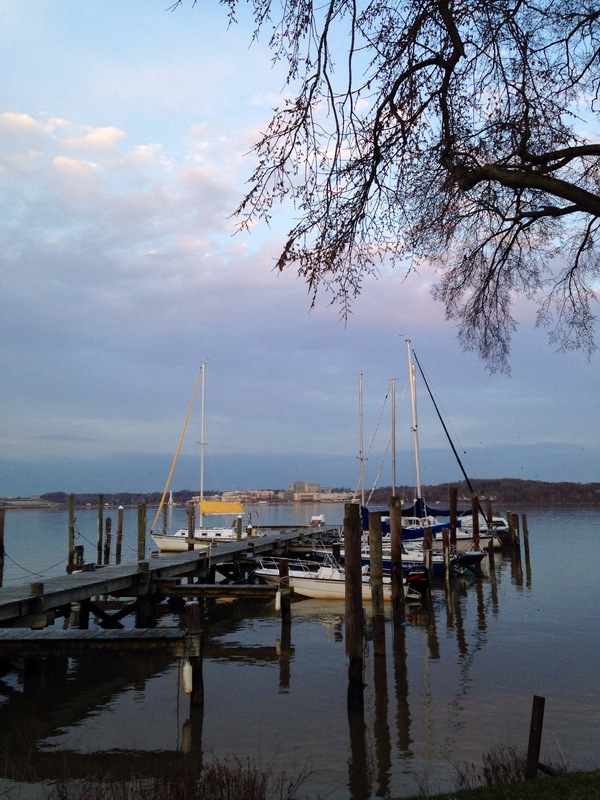 View of the Potomac from the Belle Haven Marina. One of the interesting things about the Belle Haven Marina to me is that it kind of has the feel of a blue-collar kind of place. D.C doesn’t have a large blue-collar workforce compared to other places in the U.S, so it feels unique to me. 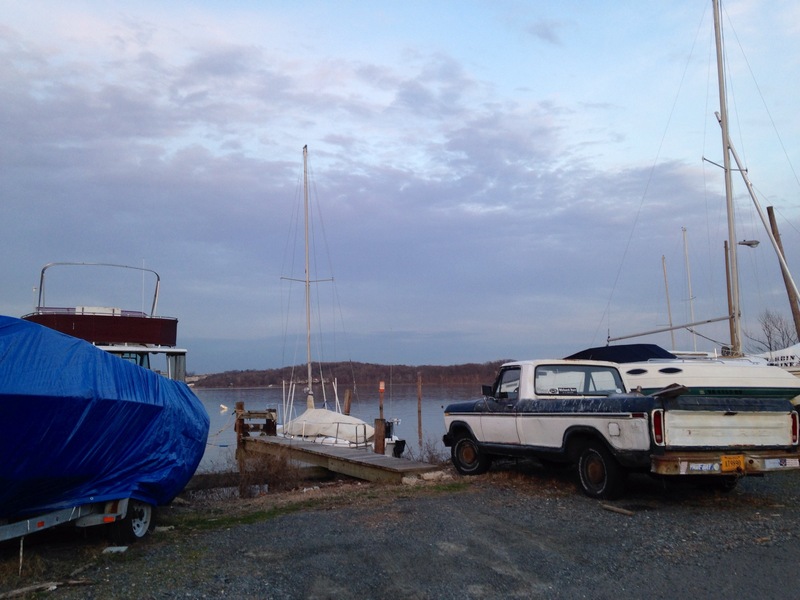 At this marina, there were lots of pickup trucks and less-than-impressive boats in various states of disrepair. 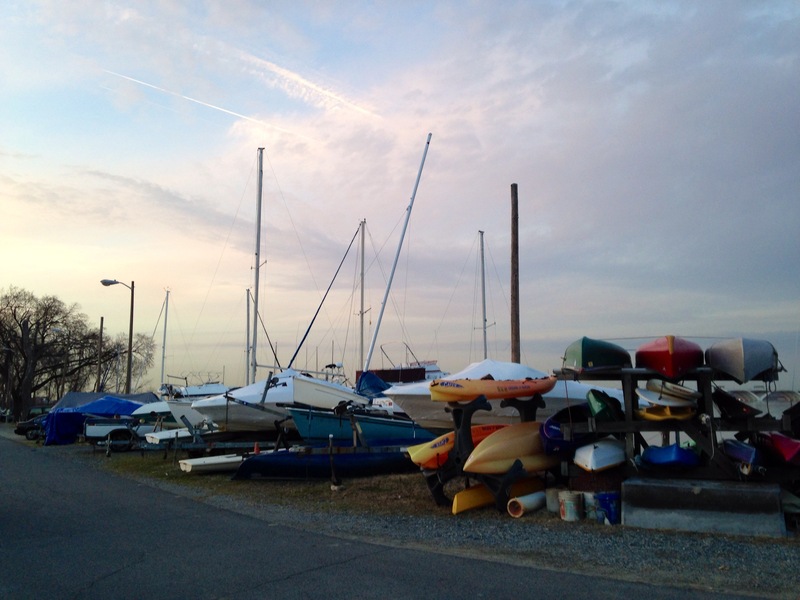 You don’t see the swanky boats and yachts you see at the Georgetown Waterfront, Annapolis or even over at Dangerfield Island over near Old Town Alexandria. Looks like you can rent canoes in summer. 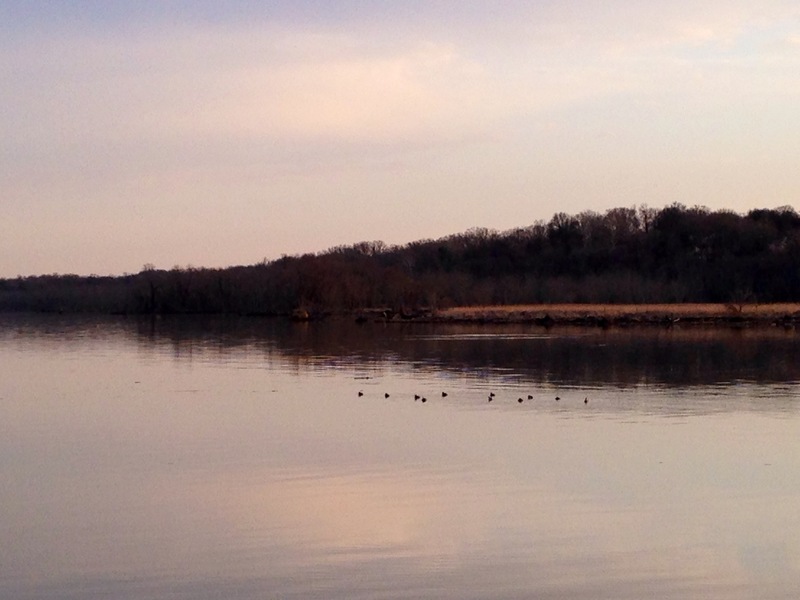 Sunset over the Potomac. It was so nice to take an evening walk sans jacket! ‹ Did Miley Cyrus Get a Tongue Extension? Thanks curt! I have a bike ride I’m really looking forward to this week, hopefully it will be nice and warm! Sunshine and the 70s promised here. We’ll see. Hope it worked out that way!! It did. Spring has arrived! Here too, thank goodness. I don’t think I’ve ever been so happy to see blossoms and green in my life! So glad I got to enjoy your jaunt via your photos–nice! I prefer the foggy picture as well. Yeah, I think they have a more interesting and complex vibe! And love seeing boatrs–more please! Haha, we have plenty of marinas here, do hopefully more to come. So beautiful. We were in DC for the first time last summer for 2 weeks! We loved our trip….but never saw anything like this! Gorgeous images! Thank you for all your kind likes and comment at my blog! I have started following you too! Look forward to it! Thanks for stopping by and commenting! I enjoy your blog! Tees were taken about eight or ten miles outside DC. 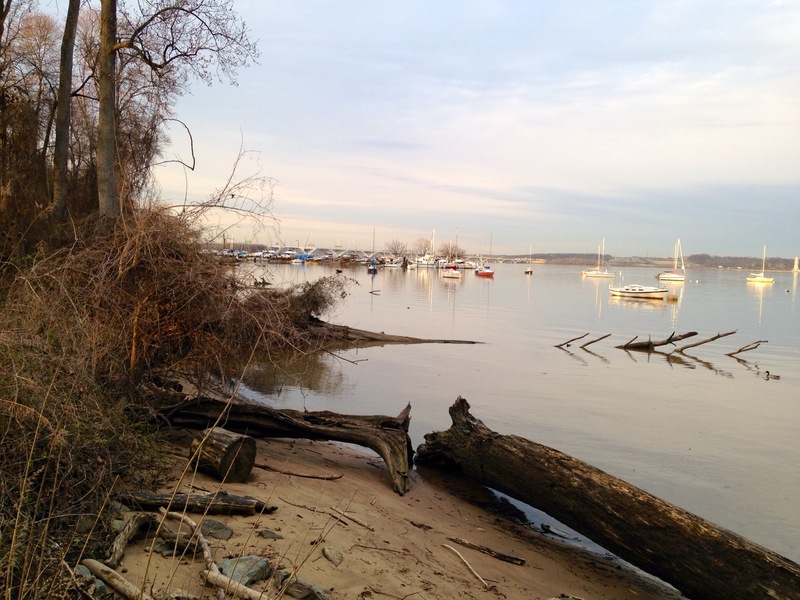 There are some really beautiful spots on the Potomac, but they can be hard to get to if you are visiting. The monuments and museums get all the glory! Like your other commenters, I prefer the mood of the misty view.